Today I thought I would share what I like to wear to work out. 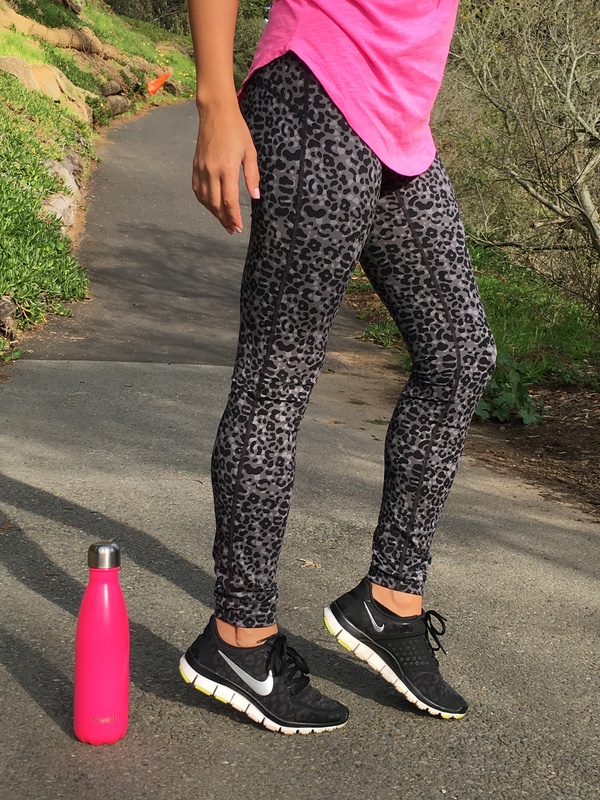 I’m obsessed with these cute Nike leopard print leggings! I like wearing leggings because they are so comfortable and I don’t have to worry about anything being too loose or too short depending what kind of exercise I’m doing. I’ve always thought the Pink sports bras from Victoria’s Secret were so cute but since they came in sizes S-L it was hard to find a size that fit perfectly. Either the band size would be too big, or the cup size would be too small. I’m so excited because they recently extended their sizes. Each size now come in two options such as S(AA-C) and S(D-DD) so its much easier to find a perfect fit, especially if you’re a small girl with a larger cup size like I am. Please take a visit to LIN+LIN if you get the chance to: a new post is up on Nordstrom’s exclusive Olivia Palermo + Chelsea28 line!